Imagine you’ve just been told you’re the most insignificant person who’s ever lived. Somebody less important to the world than certain types of mushroom. Not very nice, is it? 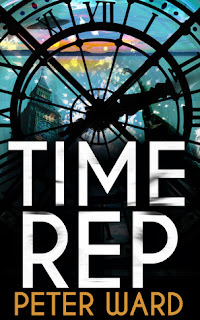 That’s exactly what happens to Geoffrey Stamp after a man from the year 3050 asks him to become a “Time Rep” – a tour guide for the 21st Century, meeting people from the future who travel back through time for their vacations. You see, Time Reps need to be insignificant. Otherwise, when you go back in time and interfere with their destiny, the space-time continuum has a bit of a fit. Peter Ward's writing is compelling, he has a talent for world building that was intricately crafted it was paced well and the humor was dry - very reminiscent of Douglas Adam's A hitchhikers guide to the galaxy. His characters were well developed and fascinating. Geoffrey Stamp the stories main protagonist is shocked and abit disconcerted, when he's told that he's totally insignificant and historically unimportant, making him the perfect tour guide for time traveling tourists. Peter Ward had me laughing hysterically throughout this book, Geoffrey's reactions to being told he was historically insignificant was brilliantly written and captivated me, I couldn't read this book fast enough - it was just so absorbing. His job is to show you the sites, the cities, and explain the local customs. 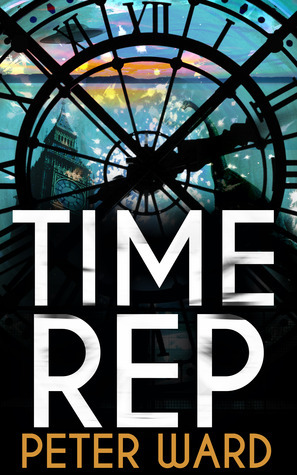 But when Geoffrey uncovers a conspiracy to change the course of time his insignificant life, suddenly becomes a lot more important than people thought and he might just be the most important person in the world. Peter Ward is definitely an author to watch fans of Douglas Adams, Terry Pratchett will definitely enjoy Wards writing style.